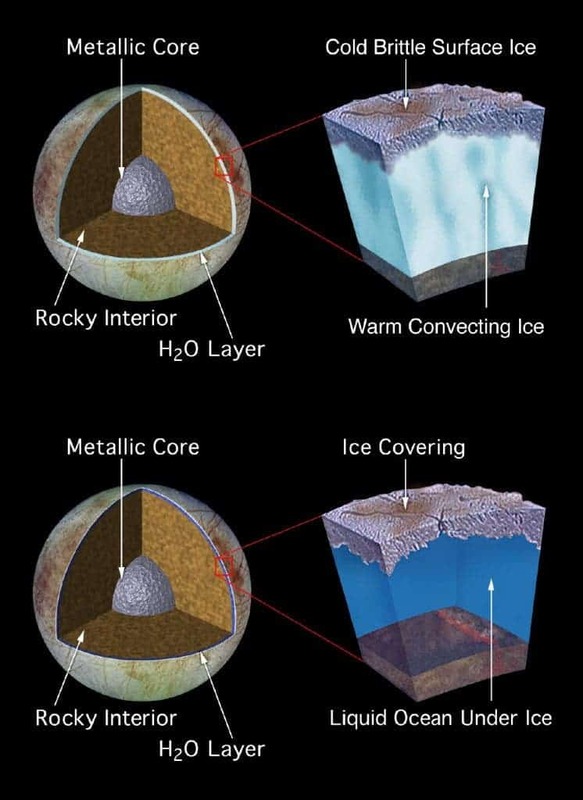 Europa, Jupiter’s icy moon is the only body in the Solar System found to have plate tectonics (besides Earth). A new study has found several defining features, including plate subduction, broken linear features and offset likely caused by strike slip faults. Europa. Image via Wiki Commons. 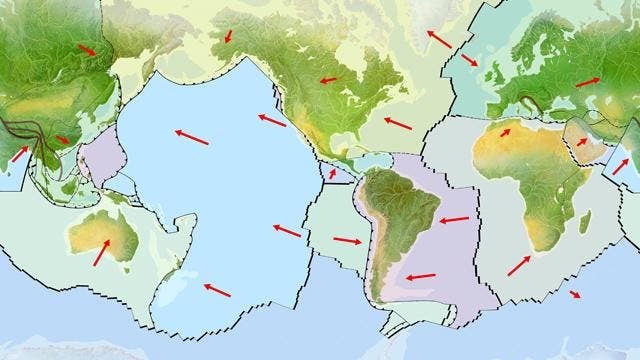 Plate tectonics is one of the newest big theories in science. Developed in the 1960s, it claims that lithosphere, which is the rigid outermost shell of a planet (on Earth, the crust and upper mantle), is broken up into tectonic plates. These plates are not immobile – they move, especially because the Earth’s lithosphere has greater strength than the underlying asthenosphere. Lateral density variations in the mantle result in convection. Here on Earth, that movement is at a few cm per year. Plate tectonics movement. Image via BBC. The exact mechanism of movement is still a matter of debate (with underlying magma currents being a newer proposal). Other major factors play a role, the most notable being the motion of the seafloor away from the spreading ridge (due to variations in topography and density of the crust, which result in differences in gravitational forces) and drag, with downward suction, at the subduction zones. Another explanation lies in the different forces generated by the rotation of the globe and the tidal forces of the Sun and Moon. It’s likely that all these forces (and probably others) work together to create the extremely complex movement we observe today. So far, no other celestial body has been observed to have plate tectonics (other than Earth that is) – it’s the first time we can almost definitely say that we’ve found tectonic movement on an extraterrestrial body – and Jupiter’s moon was quite an unlikely candidate. Proposed structure of Europa. Image via NASA. 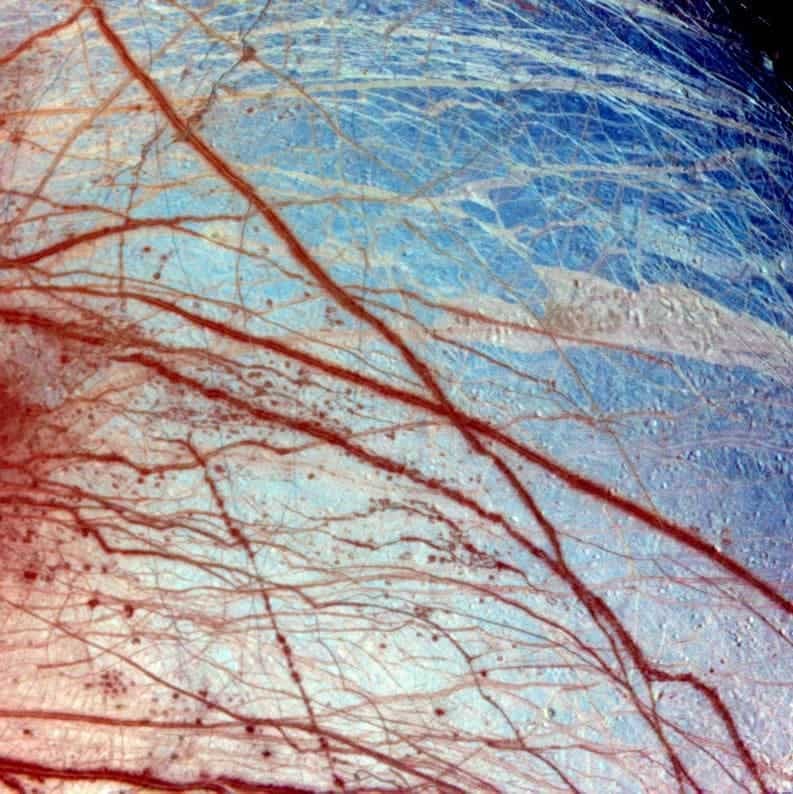 Up to 50 years ago, Europa held little interest for astronomers and geologists, but now, it is one of the most interesting bodies in the solar system. We regard it today as one of the places most likely to harbor life, and NASA is currently planning a mission to study it more carefully. So what changed? Well, Europa is a moon of Jupiter primarily made of silicate rock and probably has an iron core. It has a tenuous atmosphere composed primarily of oxygen. However, it is covered with extremely smooth ice – but that doesn’t mean it can’t host life; on the contrary! Scientists believe that under the frozen surface, there lies a vast ocean of liquid water. Europa is under a constant state of tug and pull from its planet, and this gravitational war causes friction. The friction generates heat, which is why we believe that there is liquid water beneath the ice. To make things even more interesting, huge 200 km water plumes were observed spurting from Europa. On December 11, 2013, NASA reported the detection of “clay-like minerals” (specifically, phyllosilicates), often associated with organic materials, on the icy crust of Europa. For all its low temperatures and icy features – the moon is an extremely interesting place; and it just got more interesting! Europa’s lineae, colorized. Image via NASA. 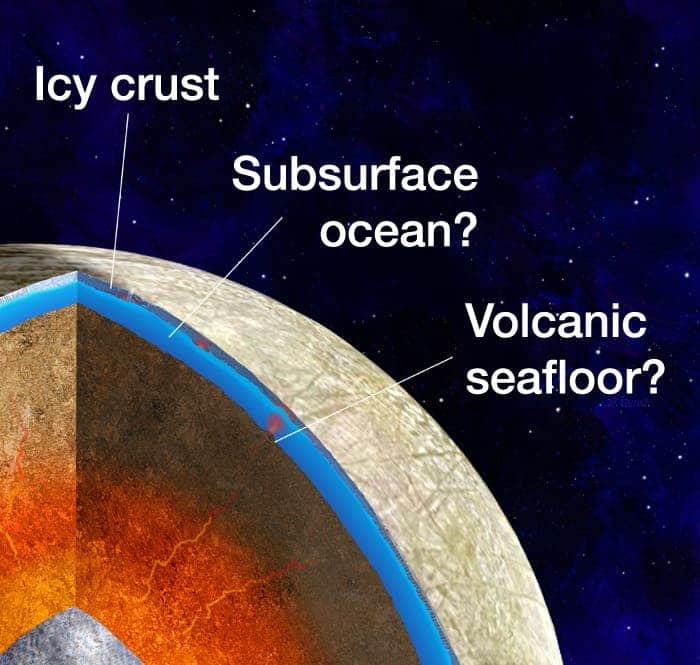 Dr. Simon Katterhorn, geologist and former professor at the University of Idaho and Louise Prockter, planetary scientist at the Johns Hopkins Applied Physics Laboratory in Laurel, Maryland have discovered clear signs of plate tectonics on Europa. They studied lineae – dark streaks that cover the entire moon, caused by Jupiter’s gravitational attraction. They observed that some of these features appear to be moved – shifted, like in a strike slip fault. Other features appear to be abruptly ending, as if they were subducting under something else. The disappearance of material is entirely consistent with subduction, and when you also take into consideration the huge water plumes, it makes even more sense. It’s pretty clear that we need a probe to better study this celestial body, and figure out its geological (and perhaps biological) secrets.